This recipe comes from a dear friend and client The Canning Diva who taught my book group how to make and can everything from garlic to pickles to strawberry jam and salsa this year. Check out one of her canning, preserving or food dehydration classes in west Michigan or book a private party like I did and bring the Diva to you. 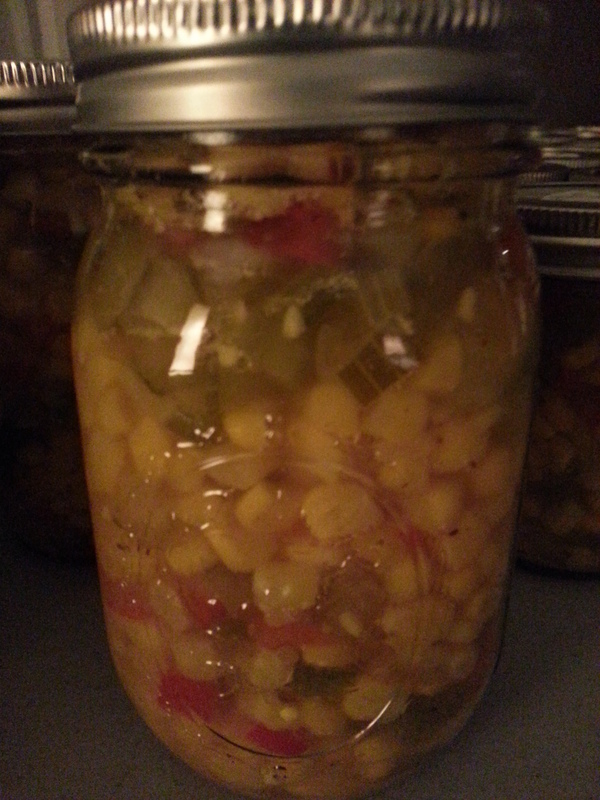 Before corn season ends and just as pepper season is starting up, I can’t think of anything better than canning a bunch of corn relish then having it retreat to the shelf waiting for winter- a time when I’m hopelessly longing for summer’s sun. In a medium-sized stock pot, combine vinegar, sugar and salt. Bring to a boil over medium heat being sure to stir until all sugar is dissolved. 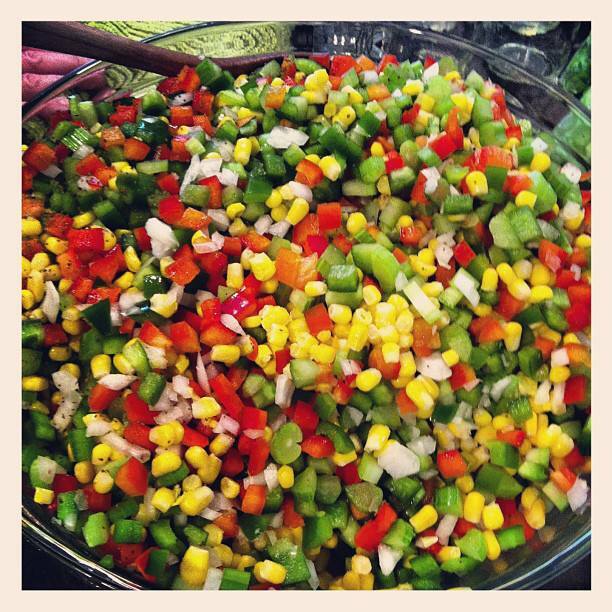 Gradually add corn, peppers, celery and onion being sure to keep everything boiling. Stir often to avoid scorching. Add the spices and stir. Combine the water and ClearJel, mixing well to create a paste. After making the paste, mix it well into the vegetable mixture while it is boiling. Reduce heat and boil gently for 5 minutes being sure to stir often to avoid scorching. 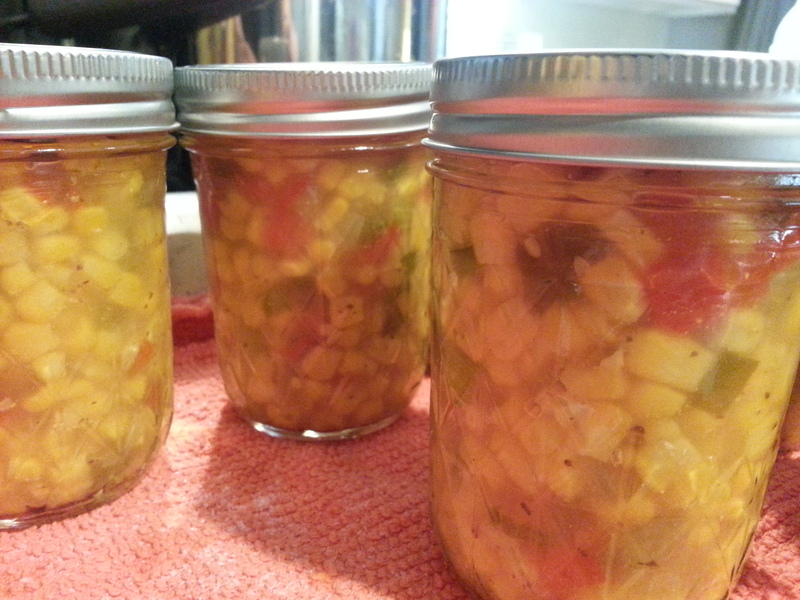 Ladle hot relish into hot jars being sure to leave ½” head space. Wipe rims with a warm wash cloth dipped in vinegar and secure lids and rings. Hand tighten. processing, remove lid and let sit for 5 minutes before removing jars.